Let's just say, I should have known better! On our first full vacation day in New York, Uncle Dave stopped by to eat lunch and say hello to Milton. 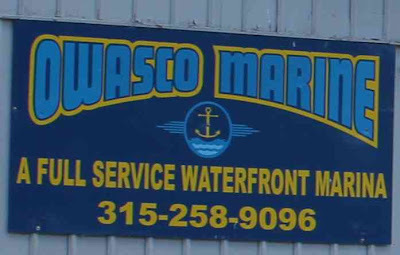 Since Uncle Dave owns Owasco Marine on Owasco Lake where we live, he drove a work barge over via the water instead of a car. 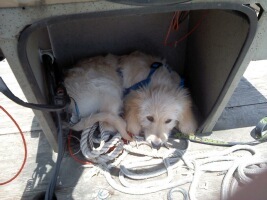 That is just one of the many perks of working on the lake all day! 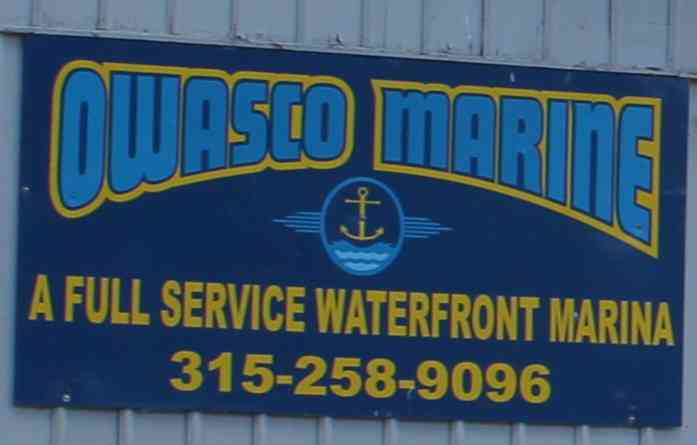 Just a little plug for my big brother if you live in the Finger Lakes region and need anything boating related. As soon as I wished the two boaters bon voyage, I began to have serious doubts that a boat ride was the best idea for the Milt. In the beginning, little Milton shook with fright whenever in the car, so I don't know why I assumed he would automatically enjoy a boat ride. My older sister, Heather, questioned if 12-week-old Milton was wearing a life jacket or even knew how to swim, which caused me to panic. I grew up on Owasco Lake, swimming, water skiing, and boating, so the water never phases me, but it should always be taken seriously, especially with my new little pup. I quickly called David to demand he turn around and bring Milton back, but David refused, over Milton's loud whines and cries in the background, because they were full speed ahead towing a jet ski back to the marina. As I hopped in my car, I quietly berated myself for acting so frivolously with my new goldendoodle. Milton could easily jump in or fall off the barge, especially because it has no guardrails, and either sink or somehow get caught in the motor. Thank goodness Jeff was out for the day, or he would have majorly chastised me for my poor discretion. I drove to the marina, hopped out, and rushed to the water silently praying that Milton was safe and sound. Milton was running towards his Momma. Milton was so excited to see me that he scurried out on the tip of the gangplank! Did Milton survive? Yes. Could this little experience ruin his love of the water? Yes. Will it? I certainly hope not. The big takeaway for me is Milton is just 12-weeks-old. He has only been on this planet for 12 weeks versus my 26 years. I need to remember that each event and experience is new to him, so I must be extra special careful in how I approach and introduce him to things. If not, it could definitely impact his temperament and overall health for years to come. I guess I will just keep on keepin' on with the Milt and learn a lot from each and every mistake.